What could be better than showing the beauty of a brand new life? I love what I do! 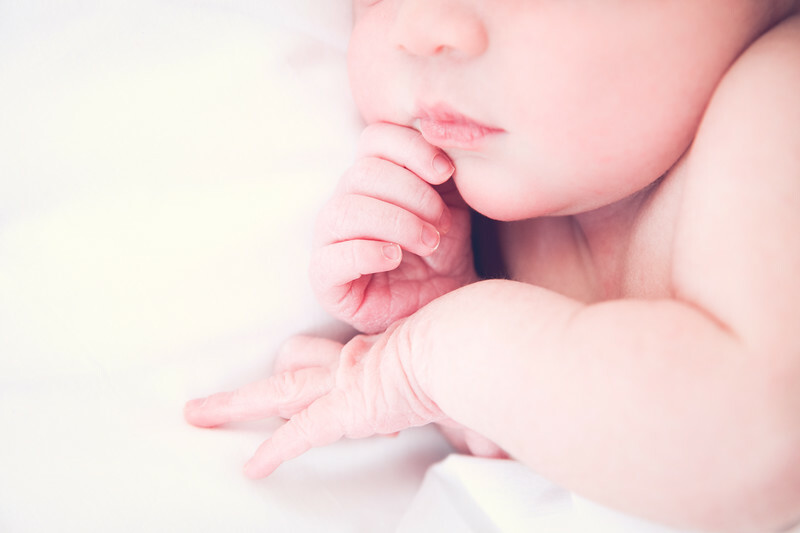 I have extensive training and experience with newborn photography (including having worked for years as an in-hospital newborn photographer and training other photographers) and will always make sure that your baby is safe and comfortable. I have photographed hundreds of beautiful babies! I believe babies look best in simple, real surroundings and being held in their parents arms. You can expect photos in a clean, classic, timeless style that captures your baby and your whole family if you like (including your pets) in both classic poses and in a photojournalistic style. If you like heavily stylized photos with lots of props I am probably not the right photographer for you. The best time to photograph a newborn baby is within the first 2 weeks after they arrive. This window of time is when we can capture that truly squishy, newborn look. Babies are easiest to settle and comfort, too. You can contact me during your pregnancy to book a tentative time for your session based on your due date. Then, call me when the baby arrives and we will arrange a date and time for your session. I take a limited number of newborn sessions per month and we can shoot Mondays-Thursdays. We will meet where you are most comfortable; either at my home studio or in the comfort of your home. Newborn sessions can take 2-3 hours to allow enough time for feeding, changing and cuddles. 40 hand edited images will be available 2-3 weeks after your session in a private, online proofing gallery. The online gallery will remain active for 30 days. We can meet in person for your ordering session or you can email me your choices for prints. The session fee is $250. Digital Images, Albums and Print Packages are available for you to choose after the session. Please contact me for more detailed pricing information. Payment can be made by credit card, debit card, or check. I offer payment plans and milestone packages. All images are copyrighted by Yvonne Marchese Photography and we reserve the right to use photographs in advertising and marketing.